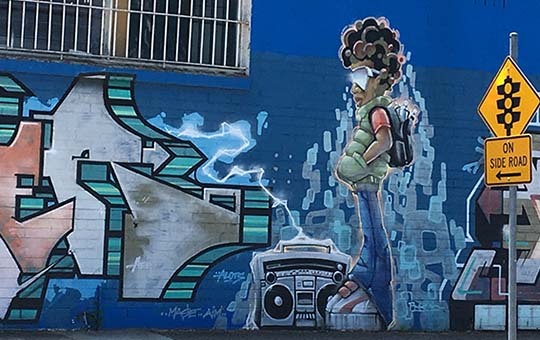 Melbourne – Australia’s second largest city – is noted for its street art, there are laneways in the city centre with a constant procession of photographers documenting the art. 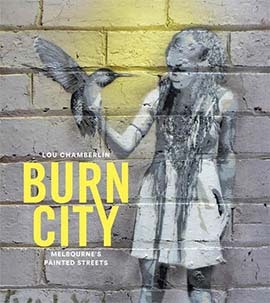 Lou Chamberlin’s Burn City book is particularly good for dramatic large scale portraiture, click here for a recent Guardian review. The ‘burn’ refers to work so hot it burns off the walls. 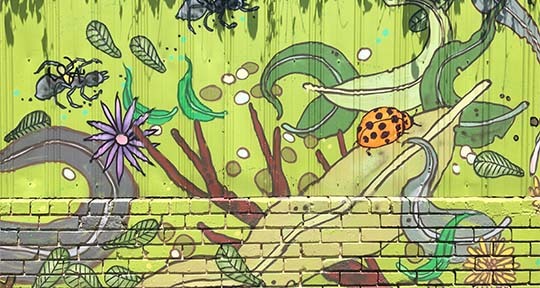 Work can be found all over Melbourne, not just in the city itself and the inner-city suburbs. My 90+ year old mother is in a nursing home in Preston and the other day we cruised around the streets nearby looking for street art. 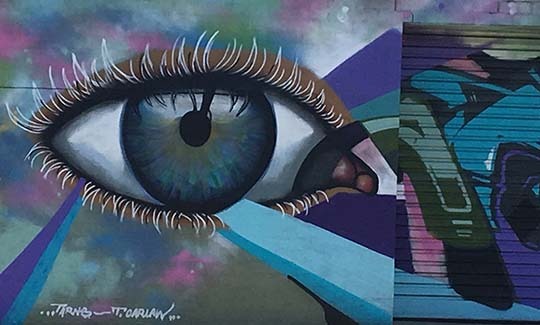 ▲ Like this Victoria Rd, Thornbury eye, keeping watch on passing traffic. 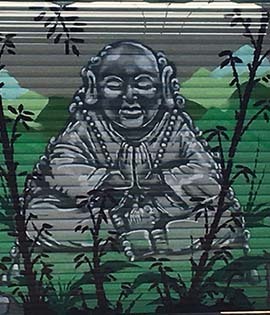 ◄ Further down Victoria Rd in Northcote it was Buddha keeping an eye on us. ▲ and trad street art on Mitchell St, only a few steps off Victoria Rd and still in Northcote. ▲ We also found this garden scene on Dundas St, Thornbury. 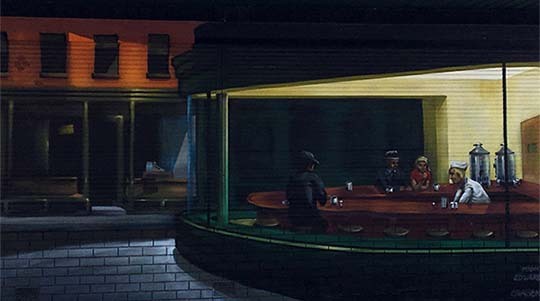 ▲ On Clyde St only a block from Victoria Rd and also in Thornbury it was Edward Hopper’s iconic Nighthawks which popped up.